Winter is fast approaching, and the ice at Tunkwa Lake is almost safe to fish on. This week, the ice thickness is between 2 and 3 inches. Once it reaches 4 inches, then we are good to go! 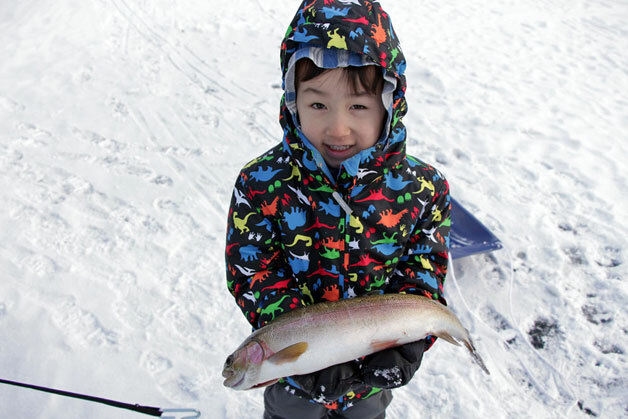 Tunkwa Lake Resort will be offering winter ice fishing specials for their cabins throughout this season. Mid week specials, two night bookings will be available (normally min. stay is 3 nights), and 20% off mid week. If you book three nights in mid week, then it's 30% off! Mid week specials, 2 night min. and 10% off, and no charge on ice fishing rods and auger use. For more information or bookings, please phone our office at 250-523-9697 or email info@tunkwalakeresort.com.